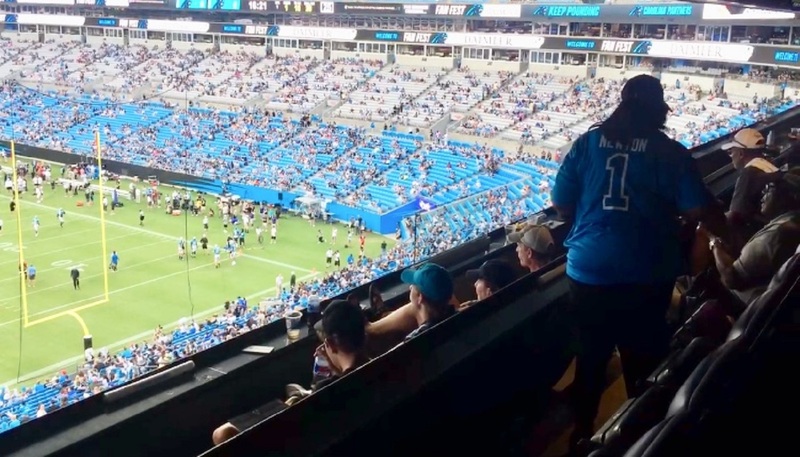 A new season is right around the corner for the Carolina Panthers, who invited dozens of teachers and principals from across the Carolinas to join thousands of attendees at this year’s Fan Fest, before heading back to school. 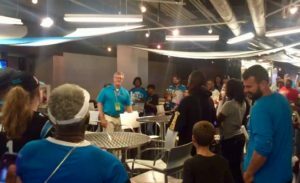 The Panthers hosted a tailgate and special seats for the educators to thank them for implementing Character Playbook in their middle schools during the past school year. 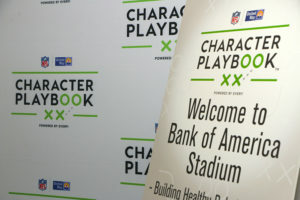 Character Playbook is a national partnership between United Way and the National Football League designed to bring character education into schools. The innovative digital program helps students cultivate and maintain healthy relationships through adolescence and into adulthood. As of this June, more than 7,100 students at 26 schools in United Way of Central Carolinas’ footprint have participated in Character Playbook. Sarah Johnson, a health and physical education teacher at Bradley Middle School in Huntersville, said she’s used Character Playbook for two years and ties the program into her curriculum standards. school are a time of increased brain development. Middle schoolers also routinely face issues like bullying and peer pressure. The program includes assessments and pre- and post-surveys which are used to track knowledge gains and changes in students’ attitudes and behaviors. 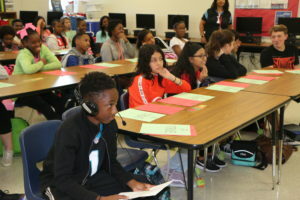 More than 10 middle schools across the state also got to participate in Character Playbook Live with former Carolina Panther Chris Draft, allowing students to engage in a conversation on character during a video conference call with Draft. Ella Boyd, a science teacher at Carmel Middle School in in Charlotte, said Character Playbook has been very user-friendly for her students and relevant to experiences they are going through in middle school. Like Boyd and other educators have observed, the content in Character Playbook engages students in a unique way while providing teachers with resources to enhance their character education curriculum and foster student discussion. As schools in our region get ready to head into another year of learning, United Way of Central Carolinas thanks the NFL and Panthers for investing in our youth and is excited to watch Character Playbook continue to grow and make a positive impact in our schools and neighborhoods. To learn more about education programs supported by United Way, click here.